I hope you've had a lovely festive break, full of the good things in life such as loved ones, sherry and lots of great telly. This is the time when we take a collective deep breath and look back on the year that was. 2015 has been a chockablock year for us hear at Tilly and the Buttons HQ. 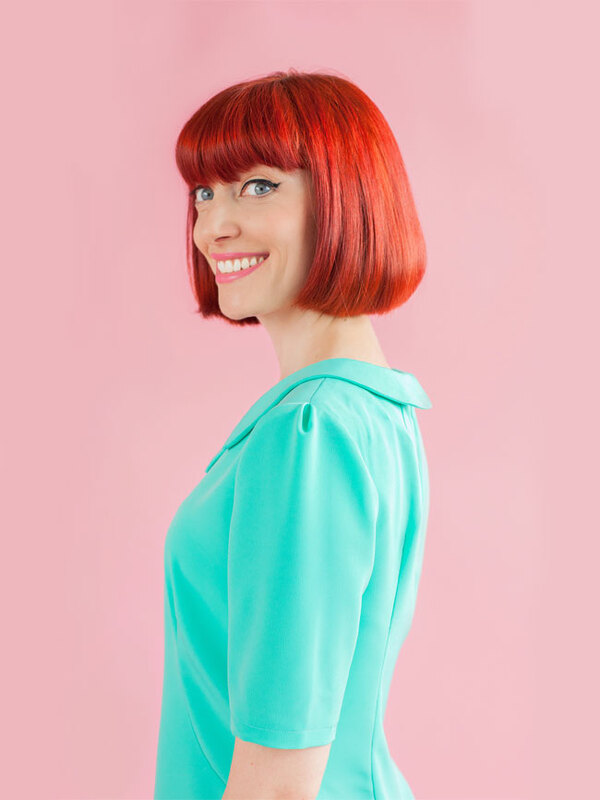 We grew from a team of two to four staff, posted out thousands of orders from our shop, gained some lovely new stockists for our patterns, did a big show at the Handmade Fair, ran loads of workshops in the studio, and did lots of admin work behind the scenes to help strengthen the company. 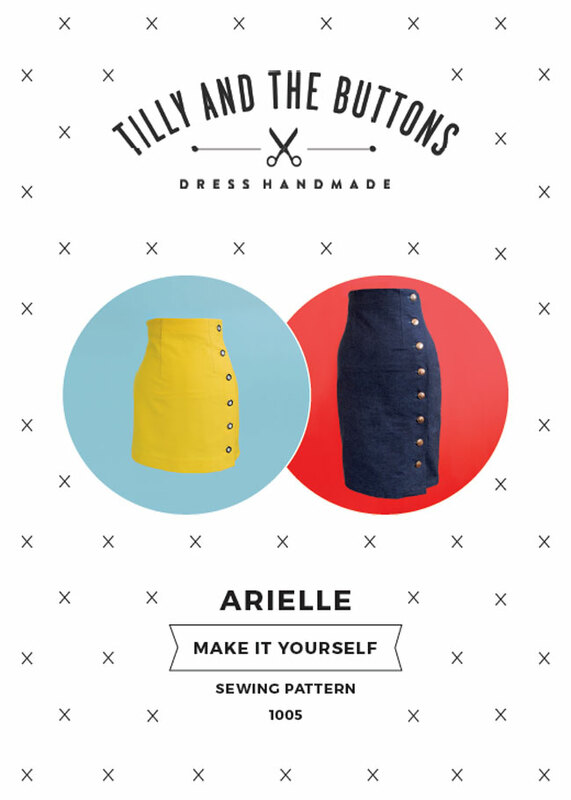 Our first sewing pattern of the year was the Arielle skirt. 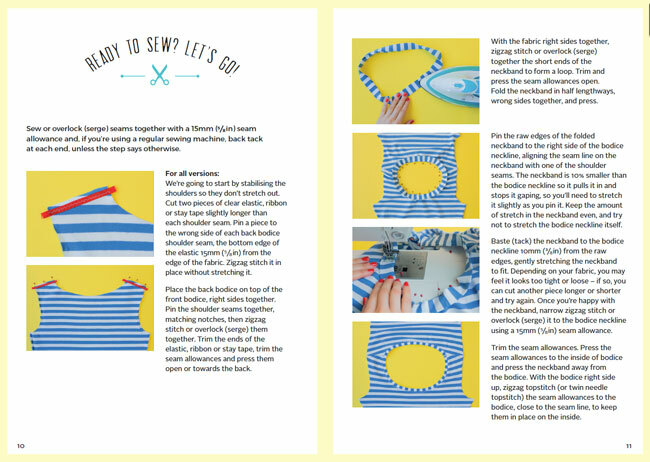 This was a slightly reworked version of a pattern I designed for Sewing World magazine a few years ago - we kept getting emails from people asking us to release the pattern, so we finally did! 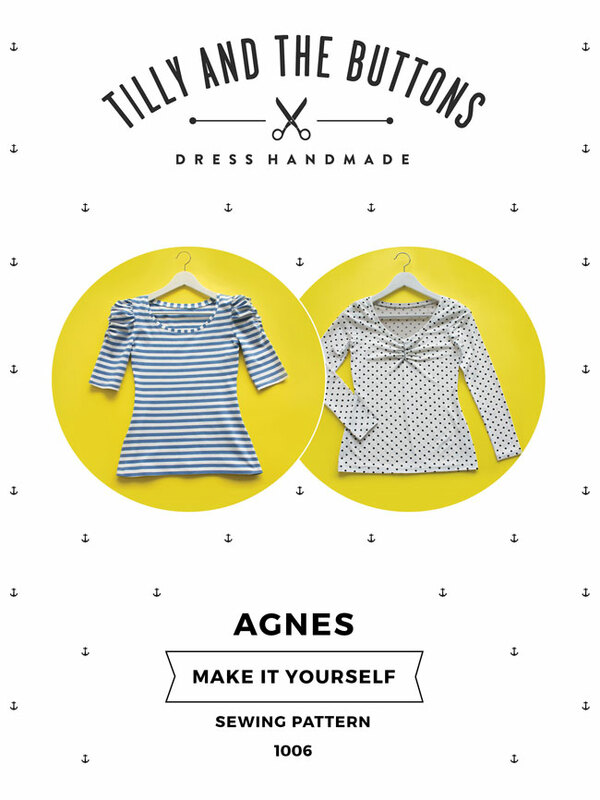 The next sewing pattern we released in 2015 was the Agnes top. This is one of my all time absolute favourite things to sew... and to wear! It's a close-fitting jersey top with scoop neckline and various features that you can mix and match each time you sew it - long sleeves, cropped sleeves, ruched and gathered sleeves, ruched sweetheart neckline... It's so versatile, it's a bit like having eight patterns in one! 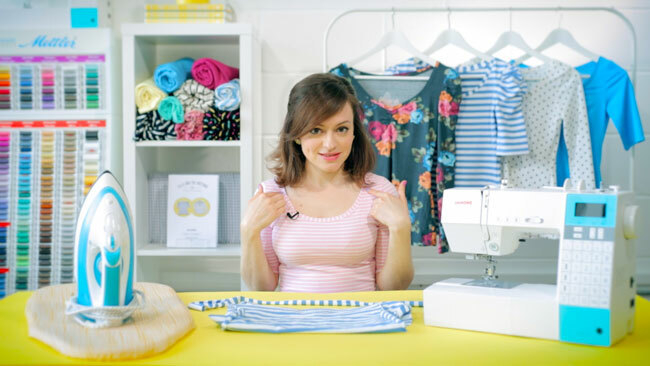 Knowing that sewing with jersey has a reputation for being scary, at the same time as releasing Agnes we launched our first online class - Learn to Sew Jersey Tops. We'd been getting lots of requests to teach our workshops online, and this seemed like a fun topic to start with. 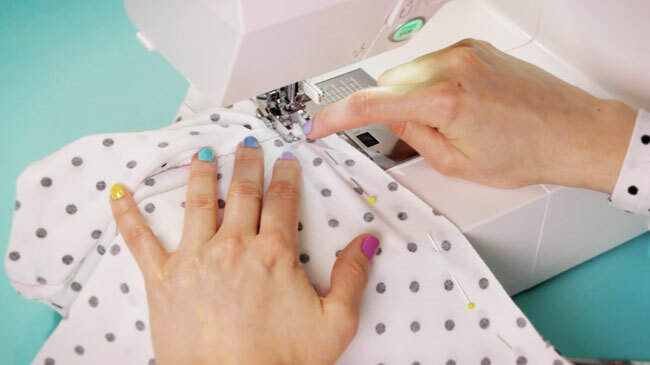 The class takes you through my stress-free approach to sewing with jersey fabric on a regular sewing machine - you don't need an overlocker or serger, just a zigzag stitch function and a positive attitude! It's taught mostly through videos so you can see the sewing in action - it's so useful to see what's happening up close... and with movement! The class is broken down into bitesize chunks, with short and sweet videos, so you can put the techniques into practice straight away. I've been designing courses for most of my career and it's something I love doing, so it was really enjoyable to put this class together. Seeing the lovely tops that participants have been making from it, and hearing their feedback on how they've overcome their fear of sewing jersey, is just brilliant! We've got some new classes in the works for the new year, so watch this space. And if there's a class that you'd particularly like us to teach online, do let us know. Received wisdom says that Summer is a quiet time in the wonderful world of sewing, as everyone is outside. 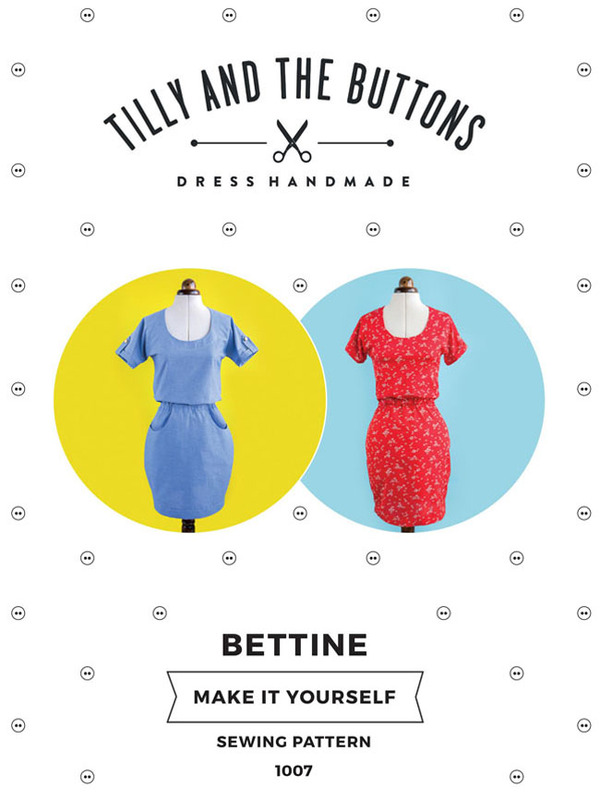 But out of the blue we had our busiest few weeks ever in July, thanks to the Bettine sewing pattern! This has been our biggest seller this year, and we've absolutely loved seeing all the gorgeous dresses you've been making with it. 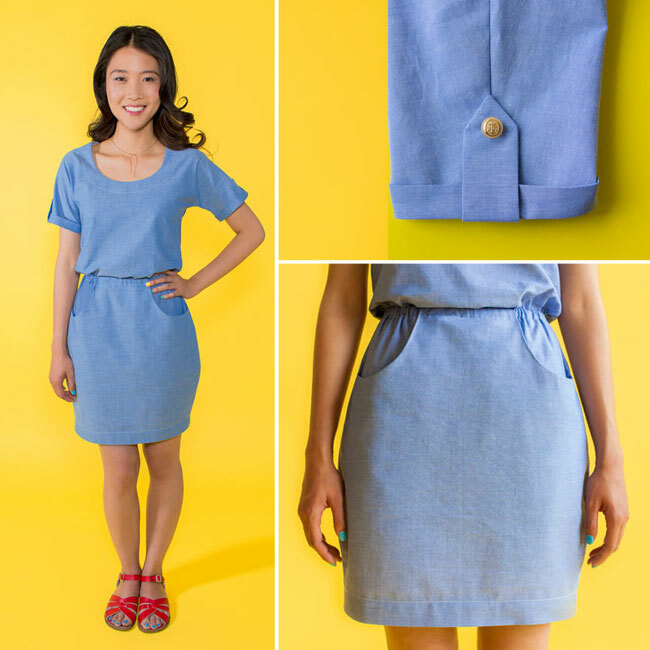 The great thing about this sewing pattern is that it's really quick and easy to make. The dress has kimono sleeves (which are part of the bodice) rather than set-in sleeves, and an elasticated waistband rather than a fiddly zip or buttonholes. 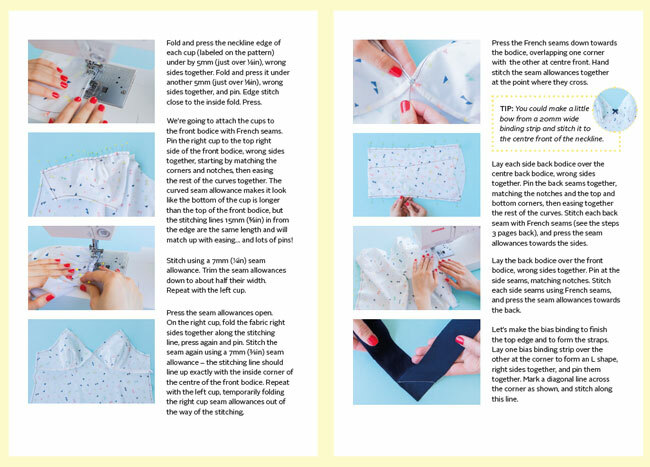 I designed it with beginners in mind, as well as people - like me - who love a speedy sewing project that can be whipped up in an hour or two. Bettine is ridiculously wearable - just throw it over your head, maybe snazz it up with a necklace if you're feeling dangerous, and go! 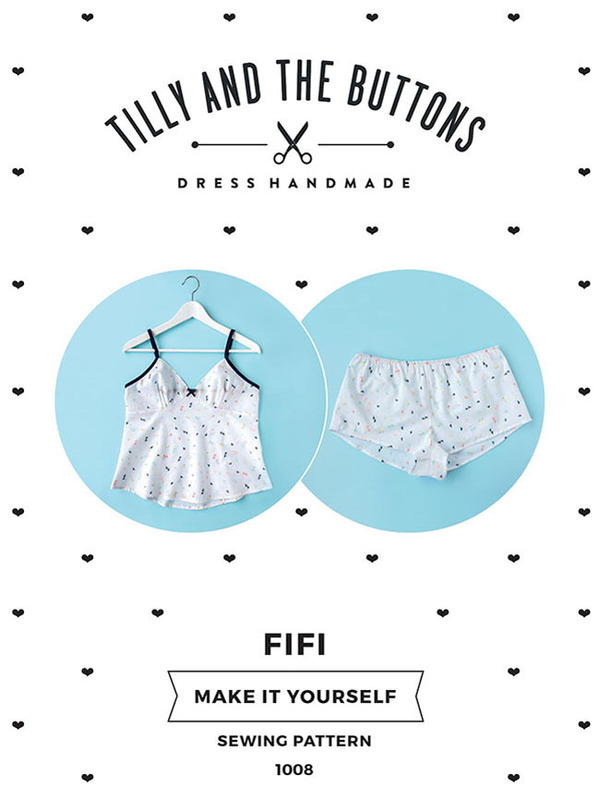 At the same time as launching Bettine, we released one of my favourite sewing patterns of all time, the Fifi camisole or shorts - or "boudoir set" as we like to call it! 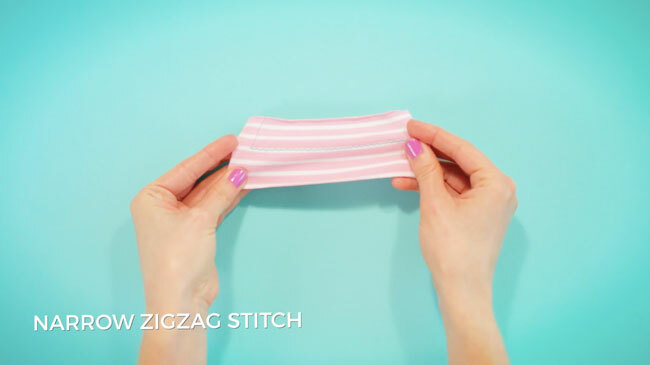 This is such a lovely project to make for more confident stitchers looking to get down with some delicate sewing and try out some new techniques, all of which are demonstrated in the instructions booklet. The camisole is cut on the bias, giving it a lovely flowing shape, with softly pleated cups, princess seams to shape the back to your curves and bias binding straps. The shorts have a delicate waistband where the elastic is stitched in (rather than threaded through a wider waist channel) and cheeky curved hems. It's all finished off with French seams so the insides are as pretty as the outside! It's a lovely project to make in a lightweight cotton lawn, and I'm thinking of sewing a set in silk as a Valentine's project... maybe with some lace? 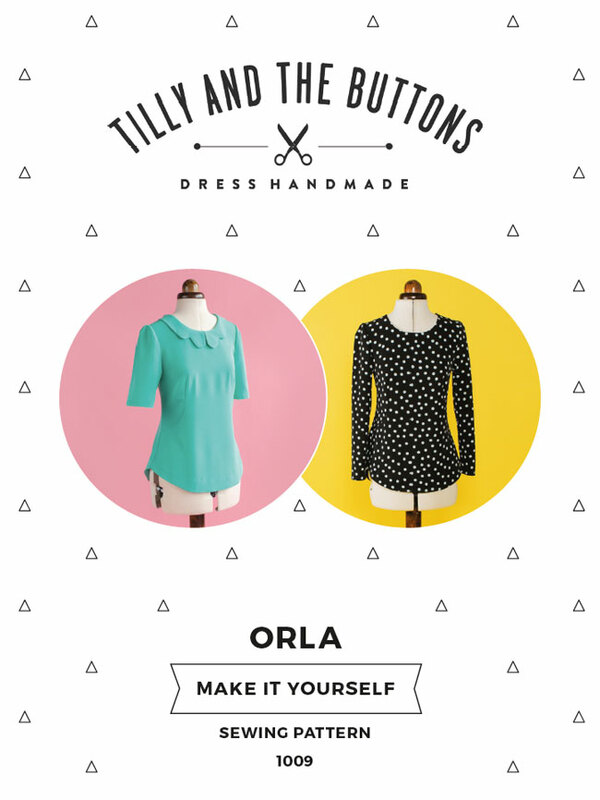 And the latest sewing pattern we released was the Orla top! 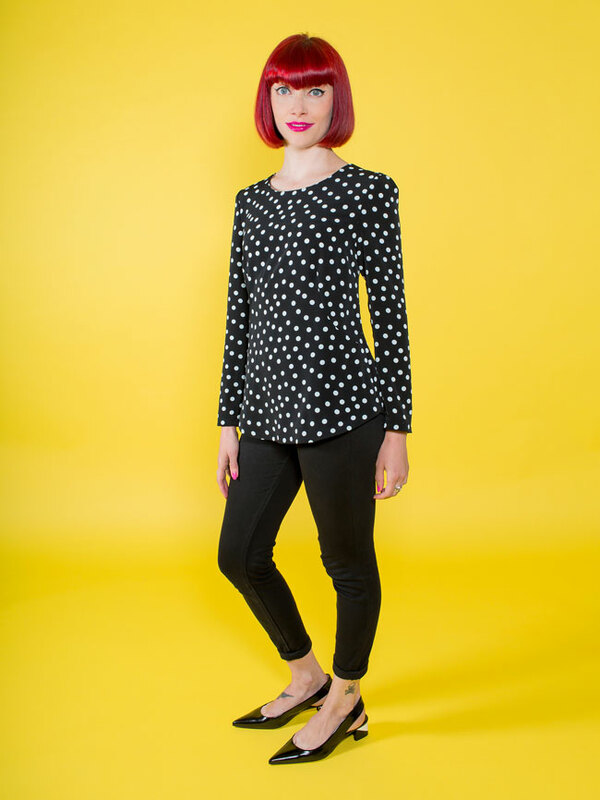 I wanted to create a classic shift top that's easy to throw on with a pair of trousers. At first glance it looks like a simple design, but if you look closer you'll see it has lots of interesting features that make it a lovely sewing project for trying out new techniques - from curved French darts to a dipped hem, exposed zip to pleated shoulders, plus the optional snowdrop collar. 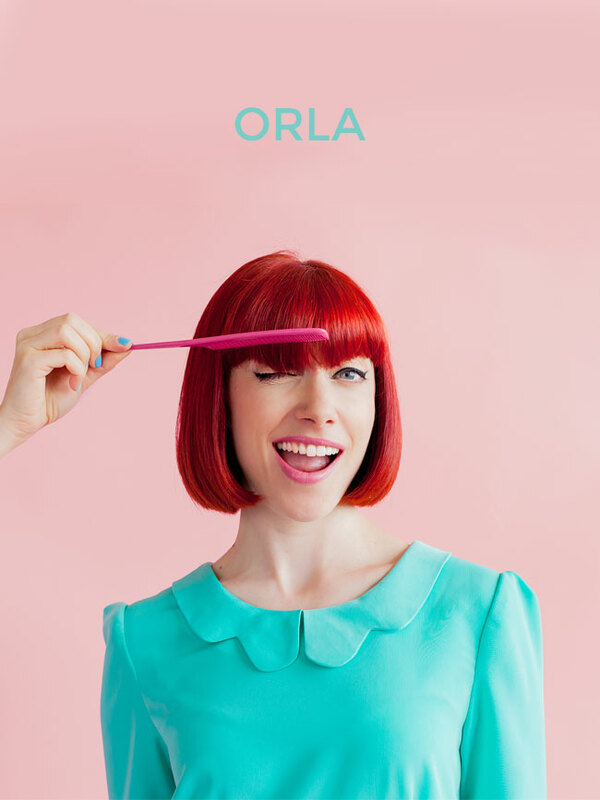 Orla is an easy top to wear for both work and play, not too tight, but the darts on the front bodice, back and shoulders allow you to shape it nicely to your curves. Ooh and don't you just love a contrast colour zip? Thank you soooo much for supporting us this year, and for helping us to keep growing the business and continue creating lovely sewing goodies to share with you. We truly appreciate having such wonderful customers and being part of such a fun and friendly community of makers. Wishing you a very happy new year... see you on the other side!